1- Reduction of Headaches / Brain Fog / Migraine Prevention – Whether injury is from barometric pressure sensitivity, TMJ, accidents, sleeping wrong or another cause, chronic headaches can be reduced or eliminated by chiropractic care before reaching the migraine stage. Proper alignment of vertebrae allows your nerves to function properly, reducing and often eliminating the inflammation and pain that causes headaches. Consistent chiropractic care helps to reduce and prevent migraines. Evidence from several studies has shown chiropractic care reduces the incidence and severity of migraines. According to scientists, Chiropractic is slightly more effective than massage and at least as effective as prescription drugs when treating migraines, but without any of the negative side effects. 2- Management of ADD / ADHD / ASD – Evidence suggests that symptoms of the aforementioned behavioral and learning disabilities can be reduced, and managed, by consistent chiropractic care. And, according to a 26 patient study, all of the ADD/ADHD/ASD patients had a cervical “neurological interference” on either the right or left side. After adjusting the spine to remove stress on the spinal column and nerves, several of the patients felt less pain, experienced a reduction in symptoms and they were able to “sit still” and concentrate better. While more, and larger, studies need to be conducted, there is great potential for chiropractic to play a larger role and be part of the solution for those who suffer from such prevalent, yet challenging neurological disorders. 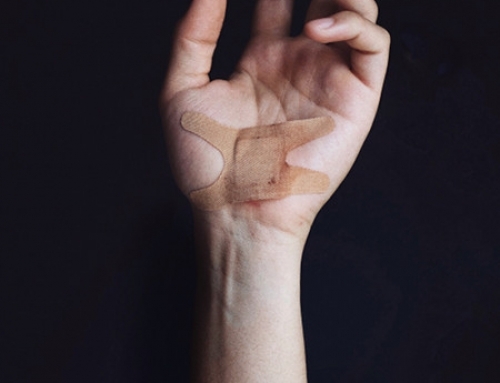 3- Accidents – Accidental injuries definitely happen to everyone sometimes and when they do, it’s can mean a long recovery if not remedied quickly and efficiently. Data has shown that 93% of “ patients improved following chiropractic treatment” for whiplash, a common result of auto accidents (the #1 cause of accidents in the US). Chiropractic care can reduce scar tissue and correct subluxations (misalignments) of the spine to alleviate a patient’s “non-localized” as well as “localized” pain, swelling, range of motion issues, headaches and discomfort associated with the physical trauma resulting from accidents. Chiropractic not only helps to speed healing, but also can relieve pain without the harmful side effects of addictive drugs. 4- Drug Free Pain Relief – A recent study shows that chiropractic realignment of the spine can reduce stress while increasing the participant’s quality of life… without harmful, addictive pain drugs. According to the American Society of Addictive Medicine (ASAM) in 2015, more than 2 million people in the US had an opioid addiction to prescription pain relievers and 20,101 of them died from it that same year. When choosing chiropractic care for pain relief you eliminate the possibility of addiction and get relief by treating the cause, not just the symptoms. Healing completely is very unlikely if the spinal subluxations (misalignments) aren’t corrected properly. Keeping the nerves from being pinched or impeded prevents and reduces joint and muscle pain. 5- Save Money – According to a study published on the National Institutes of Health’s (NIH’s) website, the relief that chiropractic resulted in “a significant cost-saving potential for users of chiropractic care” and and the researchers “suggest the need to reexamine insurance practices and programs that restrict chiropractic coverage relative to medical coverage”. Usually, in just a few sessions, oftentimes even after just one treatment, most patients feel less pain and stress overall. Getting back to work and out of pain quickly is the best case scenario when you need to be able to work for financial and other reasons. Chiropractic is especially beneficial for small business owners who don’t have any extra employees to cover for them during medical emergencies, so quick recovery from illness is an important key to their prosperity. 6- Increase Flexibility & Range of Motion – If you’re not as flexible as you used to be or you have had an injury and can’t move your body the way you know you should be able, chiropractic care can help. Releasing the synovial fluid in swollen joints aids in reducing inflammation both in the joint and muscles. Evidence, also from NIH, supports that chiropractic care can alleviate pain and swelling while increasing flexibility and range of motion. Decreasing the inflammation in our bodies means we can get back to exercising more often, harder and for longer because the muscles and joints are able to function better, work longer and recover faster. 7- Better Sleep – Adults can experience insomnia for many reasons. If physical pain is the cause, then chiropractic can certainly be a viable route to reduce the pain and swelling of joints and muscles associated with physically derived stress. However, sleeplessness from mental stress is best remedied first through psychological therapies (meditation, psychotherapy, counseling), and can combined with chiropractic as a supplemental therapy to help reduce the effects of mental stress on the body. Babies respond well to chiropractic care for sleep problems. A study of 116 infants saw almost 40% of babies adjusted got better sleep after just the first adjustment and that number increased to just less than 60% of babies getting relief from sleeping issues after just seven visits. 8- Reduces Some Types of Arthritis Pain – There are many types of arthritis and to make it more confusing, the “arthritis” label includes 100+ diseases that fall under the description. The pain associated with “arthritis” in all it’s forms can be downright debilitating and is difficult to treat because there may be many underlying causes for each individual’s case. Evidence suggests that certain types of arthritis pain can be reduced via chiropractic adjustment, especially those types that are aggravated by misalignments present in the spinal column, while others may not. Chiropractic may not be advisable for some types of arthritis. Always consult your doctor or rheumatologist first to see if pain relief through chiropractic care is safe for you to explore. 9- Chiropractic Welcomes Complementary Therapies – Can you still keep going to your acupuncturist while doing chiropractic? Why, of course! When getting an adjustment don’t be surprised if TENS, cold laser, ultrasound, massage, acupuncture and other complimentary therapies are used during the adjustment. If the chiropractor doesn’t offer these therapies, then he/she will recommend that the patient seek out practitioners to work on them before and/or after chiropractic treatment. Many chiropractors have found that incorporating complementary therapies loosens up the spine and muscles so that the adjustment will hold for a longer period of time and helps reduce any swelling or discomfort prior to or after the adjustment. Chiropractic is the “go-to” complementary therapy in alternative health care and has been used successfully in conjunction with western medicine for several years. 10- Can Reduce TMJ- If you clench your jaw, grind your teeth, get headaches and/or ear aches often, those are signs of TMJ. 90% of known sufferers are women, (one study suggests men suffer more than we know, but say nothing to their doctors). Chiropractic can help stop the pain and other symptoms of TMJ. The pain tends to radiate out to other areas (across the skull and down the neck) and can cause a cascading effect of inflammation and pain. A 1995 study shows how chiropractic can alleviate TMJ symptoms after 8 adjustments and increases the mandibular opening (how wide the mouth can open). Why suffer with TMJ pain when you can get relief? Try chiropractic today! What is the first adjustment suppose to feel like?